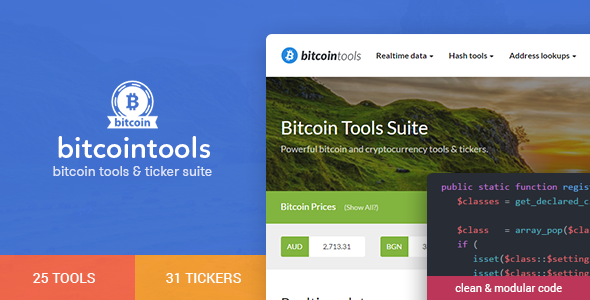 Introducing the Bitcoin Tools Suite. A high quality tools & informsation website script for bitcoin. Including 25 tool types and 31 pricing tickers paired with a modern, responsive design built on top of modular back-end code.